A proper head count of actors who grew up on the television screen cannot be brought to a conclusion without giving a mention to Bryce Gheisar, a notable Canadian child entertainer best known for his role in Wonder – an extremely inspirational and heartening movie which hit the big screen in 2017. Nevertheless, Bryce is still in the process of growing up, he just hit his early teens and is already making a statement with his talent in the world of entertainment. His career started with advertisements for companies and today, Bryce Gheisar is on the list of most sought-after child actors. From his debut movie titled The Bus Stop to his big hit film Wonder, the young talent has been exceeding the expectations of casting directors. With the project he is currently nailing on the set of his latest movie titled The 15:17 to Paris, many famed directors and filmmakers consider him very suitable to fill the role of a lead teenage actor in their films. The child actor was born in Winnipeg Canada on the 22nd of December 2004 under the zodiac sign of Capricorn. He is of white ethnicity and Canadian nationality. He was born as the son of Nicole and Todd Gheisar and has a sibling called Blake Gheisar. From what is obvious, Bryce is still in his formative years and so, he is still undergoing the process of formal education. According to what we gathered, he spent his elementary school years at Lovejoy Elementary in Allen. He also attends gymnastics and acting classes. He started his career in television commercials, notable among them is the advert he did for Chuck-E-Cheese and another for Great Wolf Lodge. His acting debut was accomplished on the set of the movie titled The Bus Stop where he played the role of Elijah Gutnick in 2015. His debut television sitcom came the next year with a role in Walk the Prank. The same year, the documentary titled Dream Chasers featured him as a student under the tutelage of the acting coach Cathryn Sullivan. 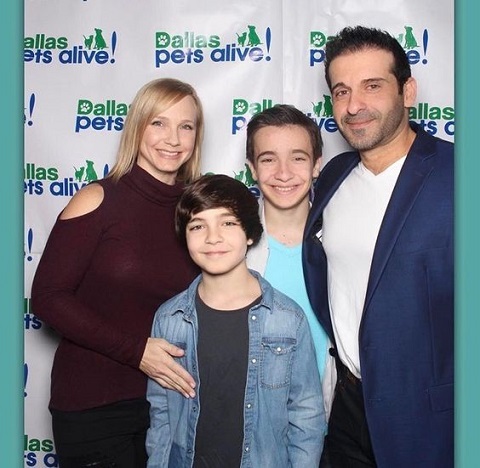 The movie that brought Bryce Gheisar to the limelight is the big hit comedy film titled A Dog’s Purpose which cast him in the role of Ethan in 2017. The same year saw him cast in the role of Julian in the inspiring movie Wonder where he acted alongside known artists like Jacob Tremblay and Noah Jupe. Bryce was part of The 15:17 to Paris released on the 9th of February 2018, the movie chronicled the story of three courageous guys whose bravery during a high-speed railway ride turns into heroes. Bryce played the role of Alek Skarlatos in the movie. Despite his young age, the child prodigy has gained a lot of popularity and fanship, he has a huge presence on several social media platforms where he enjoys massive following. Bryce Gheisar once uploaded a picture of himself and Hollywood iconic actor Clint Eastwood on his Instagram page where he has amassed a huge fan following. On the issue of his relationship status, the adorable child actor is still in his early teens and considered too young to be dating. There is no record of any love relationship for the cutie which can only mean that he is channeling all his time and energy towards building a successful career in the entertainment industry. Besides, he doesn’t seem ready for any dalliance right now and so, his relationship status is obviously single. Bryce Gheisar is just basking in his huge fan following and enjoying the attention of fans from all over the world. His mother has been identified as Nicole Gheisar while his father’s name is Todd Gheisar Bryce’s childhood is split between his place of birth Winnipeg Canada and his current residence Los Angeles California in the US. He grew up alongside his sibling Blake Gheisar. Though he is still growing, the child actor already stands at a height of 4 feet 9 inches in his early teens, his body weight of 43 kg or 96 lbs is a perfect match for his height. Presently, Bryce Gheisar wears a shoe size of 4UK, he has dark brown hair with beautiful blue eyes.